Choices. We take them for granted. Salad for lunch or steak? Stay in or go out? Live in this neighborhood or that one? Keep going to school or drop out at 10 so you and your 3 younger siblings can eat. Take your kids with you while you work on the street or work and leave them behind without supervision. Continue to work a job after your abusive ex finds you or look for a new one even though each day of lost work means no food. These are some of the choices Zenovia has had to make. Her mother died when she was 10, and she went to work in the city to provide for the family. With no one to watch out for her, she started getting sexually abused right away. And she never learned to read. Think about that one. Think about everything you’ve done in the last week that would be impossible if you couldn’t read. Forget that. Think about the last hour. You can’t research to find a good doctor or look up a place for a haircut. You have to order from pictures on a menu not descriptions. But these choices are unimaginable luxuries to Zenovia. Zenovia’s illiteracy has operated like a pair of handcuffs, limiting her options and putting up an invisible roadblock to every life decision. Try to get a divorce. Try to navigate a system seemingly designed for you not to understand. You don’t know where to start to leave an abusive marriage or navigate your way through a messy divorce. Then somehow…somehow…you get away. You’ve found your way out. You have a job for the very first time. You’re selling veggies at the market and daring to consider the course for your life. This is Zenovia’s daily reality. She goes before sunrise to buy vegetables from a wholesaler and spends fifteen hours a day on her feet. The younger kids go with her every day. Among a lot of grim faces, her smile shines bright. When she makes her way home to the older kids, she knows she can’t help them with her homework. But she’ll take it. Because this choice means freedom. Zenovia is quiet and easy to count out. But that would be a mistake. Because with no education and limited choices and options, Zenovia does a really good job at the one thing she has control over—her attitude. She has a sweet spirit and is totally set apart. In a hard world, there is not a hint of bitterness in her sweet smile. Somehow…somehow she has remained untainted. When Zenovia’s ex found her at her new job, strangers had to intercede before it got too violent. The best thing we can offer Zenovia is a choice. We can’t promise he won’t find her again, but we can promise to help her find a new job. 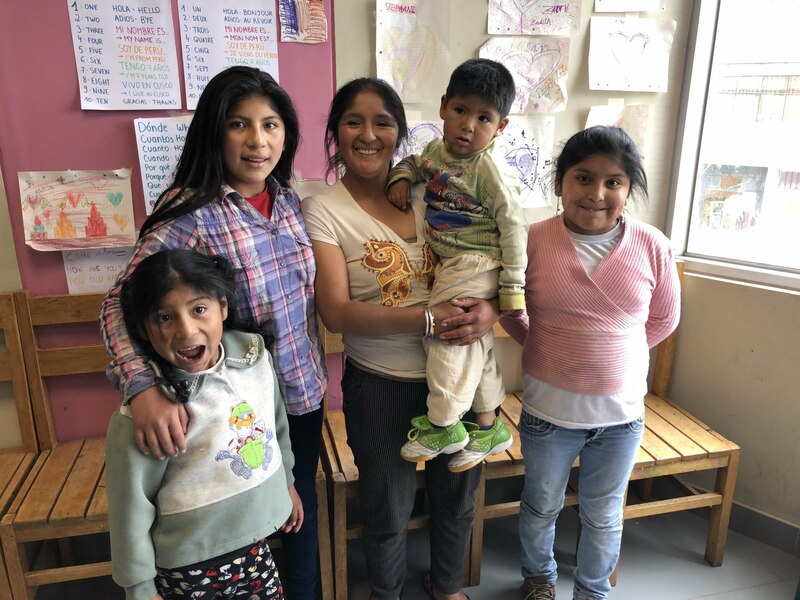 Learn more about the NUEVO CAMINO Zenovia is finding, and SUPPORT her and other moms on their New Paths.